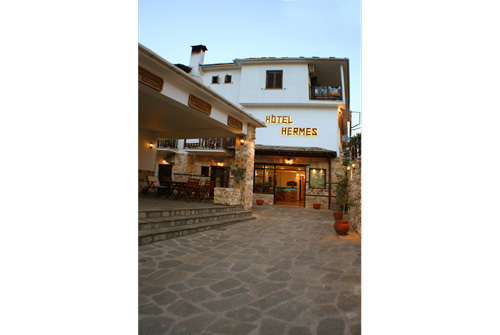 Hermes Hotel lies in the traditional village of Panagia and is the ideal choice for those who seek an alternative place of accommodation for their holidays. 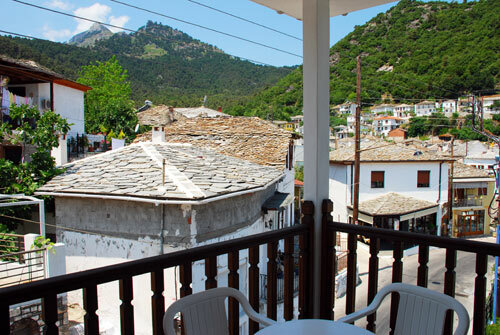 The village of Panagia is a protected traditional (preservable) settlement and the hotel is built according to traditional architecture. 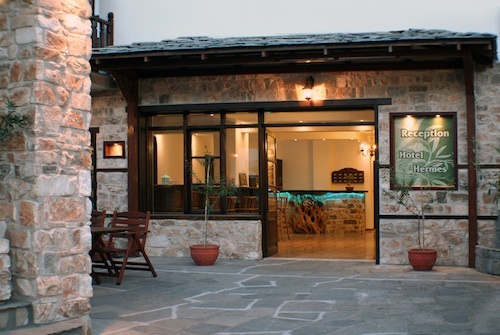 The hotel is a typical example of traditional architecture preserved in the village, renovated with passion and respect for the region's history, characterized by stone roofs and wooden frames. 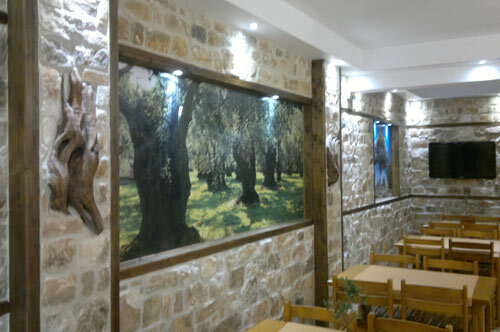 According to local tradition and inspired by nature, we created a place that combines natural materials with modern design: such as authentic and cozy wood, hand-crafted local stone alternating with authentic parts of olive tree wood. 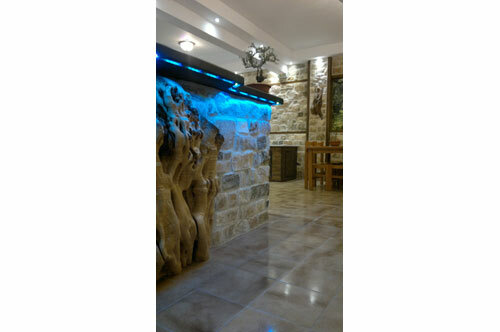 Hermes Hotel guarantees comfort and relaxation. 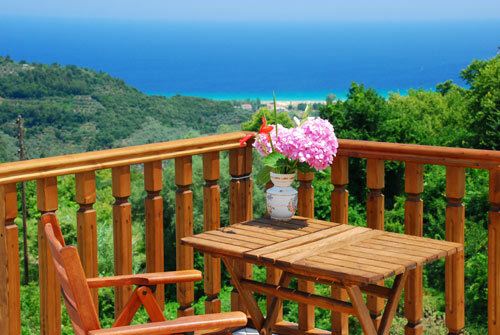 One of the most beautiful beaches of the island, Golden Beach, is only 3 km away. 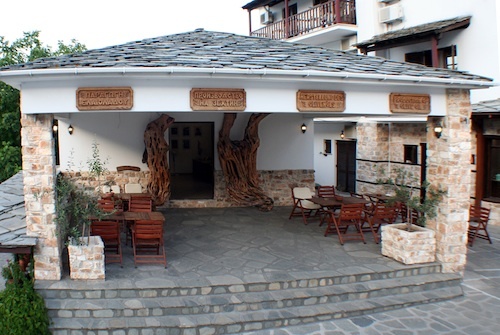 Yet, the village is built among the mountains and at an altitude of 300 m above sea level, a topography that results in a cool and green environment with running water, plane trees and paved narrow streets. 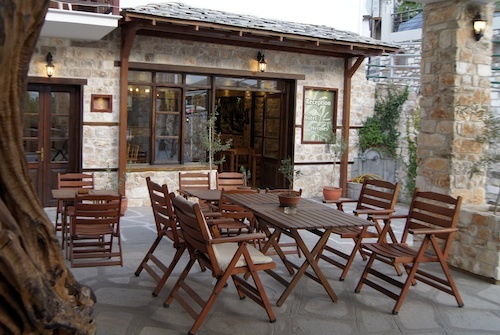 In a short distance from the hotel, one can find the main square with small shops, tavernas, and cafés. 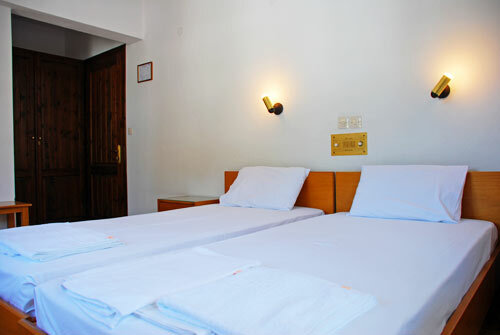 Our main concern in the operation of the hotel is cleanliness and high standard services. 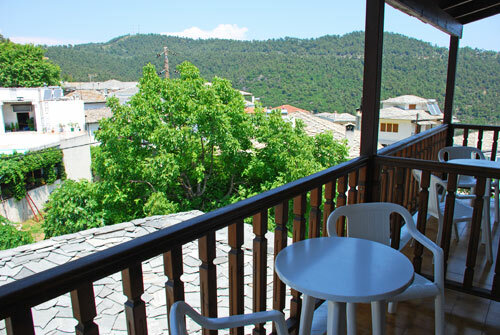 All of our rooms have TV, air condition, refrigerator, radio, private bathroom and balcony with a view of the sea, the mountains and the village. 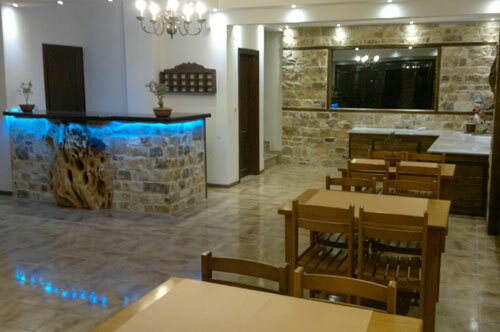 We offer a breakfast buffet and comfortable indoor and outdoor space for our guests to enjoy their breakfast, coffee etc. 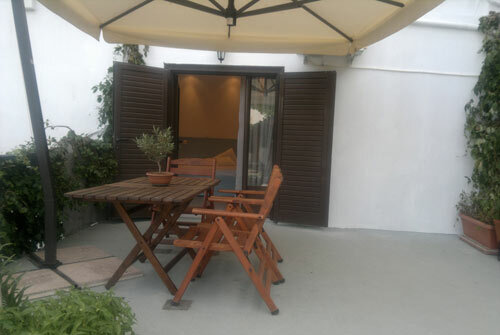 There is also a free parking space available. 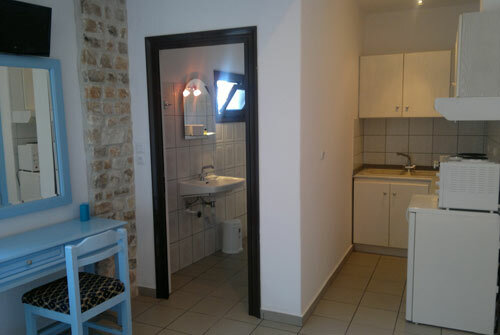 We also offer a new, nicely decorated triple or double studio with a fully-equipped kitchen, private bathroom, veranda, air condition and television. 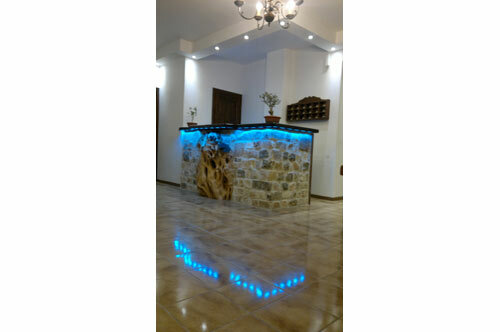 It is located on the ground floor and is immediately accessible from the parking area of the hotel. 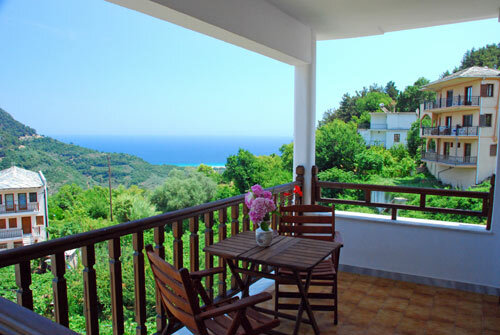 The studio offers a beautiful open view of our garden and from the veranda you can hear and see a small mountain stream gently taking the water from Panagia's springs down to the sea.